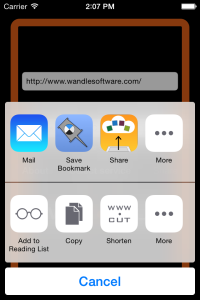 Of course you can also type the URL manually or, in Safari, add “wwwcut:” to the start of a URL. 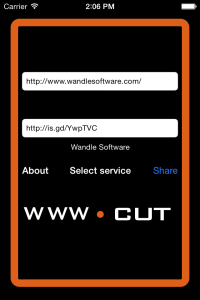 Once shortened you can email, tweet or send your link to Facebook without leaving www.cut. If you enter an already shortened URL, it uses longURL.org to automatically show you where the link points to.